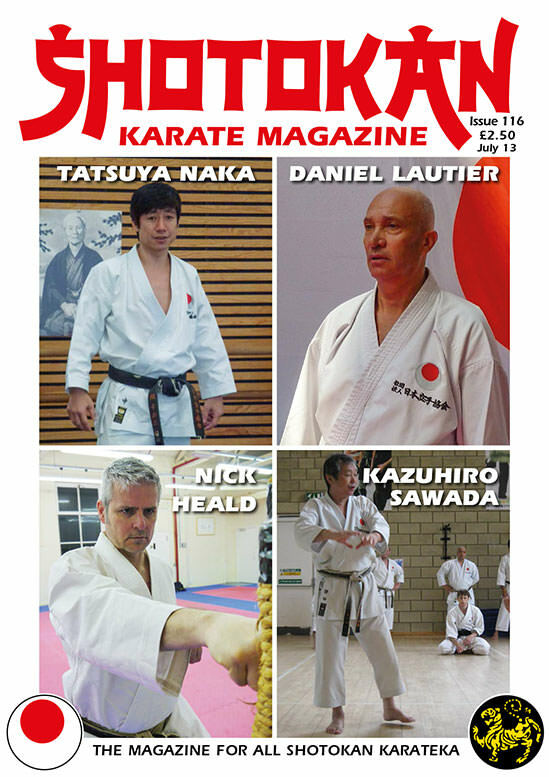 In the last issue we had a report on the 2012 JKA Xmas camp in France featuring three JKA senior instructors, senseis Naka (JKA Headquarters, Tokyo) Sawada (JKA Belgium) and Lautier (JKA France). 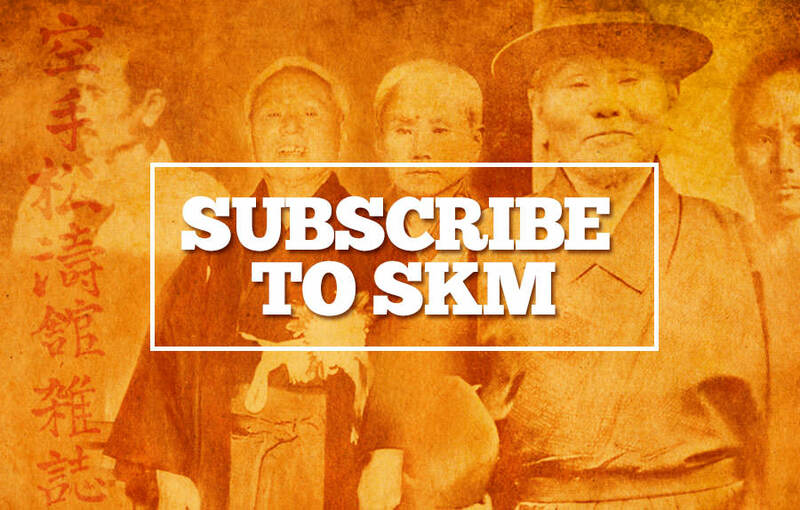 After the camp in December 2012, the reporter Leland Vandervort kindly conducted three seperate interviews with all three instructors for SKM. And a huge thank you to Leland as in this edition we have all three of these interviews. We have actually had interviews with both Sawada sensei and Daniel Lautier sensei in previous editions of SKM but never with Naka sensei. It’s quite a short interview but Naka sensei is a very interesting instructor. Hopefully in the near future we will have an in-depth, lengthy interview with him, in fact I will go as far as saying I will guarantee that we will have another interview with him. Naka sensei is now a high profile, senior JKA instructor, known worldwide for his superb technique and innovative teaching ability he is one of a new breed of younger JKA instructors who appears to be moving the JKA karate forward once again after the previous era of innovators like senseis Osaka and Tanaka etc. He’s also well known for his acting portrayal as ‘Taikan’ in the film, ‘Kuro Obi’. We also have an interview with a British Shotokan instructor, sensei Nick Heald 5th Dan, based in Leeds. I like these interviews with the lesser known instructors or the unsung-heroes as I often like to call them. Nick has some quite different ideas as you will see, especially regarding free sparring (jiyu kumite) as opposed to kata bunkai or pre-arranged kumite. He believes that karate in the Olympics is a good idea. I don’t agree with this as I’ve stated before. I’ve watched the WKF kumite competitions and they are really fantastic athletes there’s no question about that, but I hate all that Red and Blue mitts stuff and to me it’s lost the rough fighting edge. However, I’m probably an old fashioned traditionalist. I grew up here in England in the 1970’s/80’s with the likes of Terry O’Neill, Steve Cattle, Billy Higgins, then later Frank Brennan, Ronnie Christopher, Elwyn Hall etc, who were hardly non-athletic but it had a far more raw edge; no mitts, or pads and there was a lot more contact allowed. There was a serious facial injury fear factor when facing ‘bare-fists’ with makiwara calloused knuckles!! It seemed a lot more realistic in actual fighting terms than today’s ‘sport karate’. What worries me about karate in the Olympics is that the athletes will retire as in most other highly physical sports at around 30/35 years old and then most likely finish with karate completely. So it would eventually become an activity only for young people. How many WKF ‘athletes’ will still be training week in week out when they are 65 or 75 years old, as are so many so called old traditionalists? I watched a self-defence seminar recently and the techniques used were brilliant. However, I’m still not convinced that this type of training prepares the average karateka for a ‘real’ encounter with a seriously determined, strong, angry psycho!! It’s almost impossible to prepare for this as it goes far beyond the ‘physical’. As luck would have it I was born in the 40’s and my hair is grey. To make matters worse my knees hurt and I am not particularly good looking. However in spite of my miserable state of existence I feel compelled to interject my two cents regarding several SKM articles mentioning kids participating in karate-do. I have been training in karate since 1974 and have had the pleasure of training under many excellent instructors both ‘real-Japanese’ and ‘not real-Japanese.’ I have instructed more than 30,000 karate classes and still teach 1,000 classes per year. I have been transported from the dojo directly to the emergency room five times that I can remember. I have had the pleasure of cracks, breaks, busted lips/noses and the whole shebang (no pun intended). That kind of training was fun while it lasted, but I am certainly not going to run my dojo that way nowadays. Nelson Vaughn’s dojo is based in Topsham, Maine, USA. What makes me a little different from many readers of this harangue is that I teach Shotokan karate as a full time profession to a predominantly youth student base (75% kids). Shucks! Already strike two in many of your “traditional” opinions… teaching karate for money and teaching the unqualified (children). Teaching for money makes me a sellout and teaching children makes me a babysitter. Is that so? Just as an experiment last week I told my Monday & Wednesday kids that I had read an article stating that children do not belong in karate. To further validate my observation I did the same to my Tuesday & Thursday kids. Both groups had the same reaction. They were insulted! These groups were my intermediate youth classes (pre brown belt) ages seven through twelve, training level heian sandan through tekki shodan, and training experience 18 months to over three years. A sixty year age difference but karate training is for life. These kids punch hard, get low, sweat, and sometimes get tagged sparring (fist kissing). They are striving for excellence, learning proper dojo decorum and life skills, and yes, learning (eventually) how to fight. Kids can’t learn how to fight you say! So what are the chances your average white belt adult who comes to the dojo at age 45 is going to learn how to fight? “The bigger they come; the harder they fall” is Pollyanna crap and completely downplays the danger of violent confrontation. We veterans know that actually defeating a violent attacker is easier said than done and most adult first degree black belts can’t do it anyway. Therefore, we should not exclude children from the dojo just because they can’t beat up a 29 year old tobacco-drooling redneck. They are much better candidates for doing just that (in time) than our middle aged beginners for whom realistic self defense is a long shot. My point is since the purpose of karate-do is self-realization, children should not be precluded nor should the out-of-shape middle-aged office worker (no offense to office workers). If karate-do is much broader than self protection, then why exclude so many who can gain so much from its study and give so much back to its future? I understand that instructor academy kumite may not be the way to go with our nowadays karate demographic, but valuable life lessons can still be taught to many who are willing. Realistic self-defense is indeed part of our Shotokan tradition and better to get-em while they are young and their body parts still work. Besides, the grizzly old farts reading this article ain’t the future of karate-do (pardon the poetic license). We need to be teaching more karate kids, not less, and sending them off to college at shodan or nidan level because it is they, not us, who will propagate the art deep into the 21st century. Nelson corrects a young student. There are those who say children cannot understand karate’s kinesthetic subtleties or the even-more-subtler nuances of sen sen no sen timing (preemptive response). No kidding Sherlock (yes I cleaned that one up). Let me give the reader an example of why I believe kids should be given a chance. When I was a younger lad I attended college as a business major. One of our subjects was statistics. The course was brutal, and sure enough, the professor was even worse. However, he was very fair and clearly explained what was required and the amount of work he expected us to do in order to pass the course. He also told us that most of the class would fail the first time around. He was correct, as over half of the class failed the first semester. Eventually however, we repeated the class, somehow managed to do what we were told, and indeed did pass the course. Even though many of us didn’t know what we were doing the first few months we had the desire and were given a chance. Our children should be afforded the same opportunity! Today’s kids deserve a chance to experience what you and I have experienced for decades, and if you are not going to give them the opportunity then I will. The whole point is that kids are the future and it is up to us to get them involved and then headed in the right direction. I am not advocating giving away belt rank; I’m just saying that excellent technical performance should be recognized regardless of age. Shocking knock-out power may come as the children grow up or it may not. Some of us are bigger and stronger but alas others are smaller, or weaker, or older and may never be able to flatten the aforementioned redneck. If there is a place in Shotokan for the younger (or older) practitioner, then perhaps we should broaden our definition of belt rank to include karate-do as well as karate-jutsu. Maybe (just maybe) it is time for the uber-esoteric, hyper-exclusive traditional mindset to broaden its set mind. As you can see many of our kids are not holding form or keeping focus. These group pictures are what really goes on in a kids karate class, and therefore it is incumbent on the instructor to turn them into sharp, clean yudansha.